Temporary relief rally is over, volatility expected to rise next week. 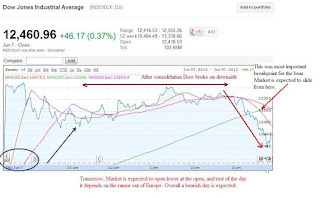 As said in my Sunday's article, http://www.freefdawatchlist.com/2012/06/where-is-dow-heading-between-jun-4th.html we saw nice rally of 500 point in 4 day. Do visit us back to read the next part of where dow is heading in the most important week ahead of Greece election and Fed fomc meeting. Remember the problem from Europe is not over and volatility is expected to rise next week. This was a temporary relief rally which is over. 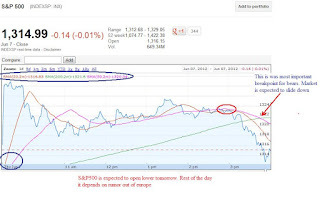 Based on the chart, tomorrow market is expected to open lower. 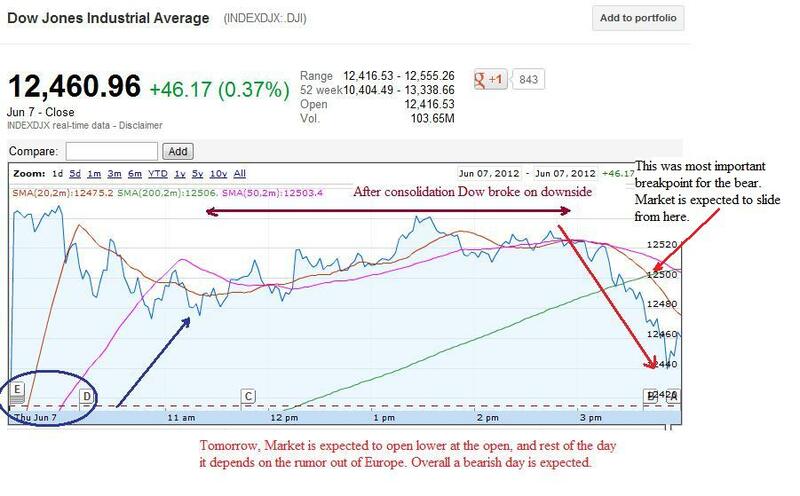 For Bullish sentiment to continue: Dow needs to break 12524, followed by 12570, while S&P500 needs to break 1318. For Bearish sentiment to continue: Dow needs to break 12398, followed by 12332, while S&P500 needs to break 1308 followed by 1304. Premarket Gainer: OCC, CTFO, FRAN, HGSI, MOLX, FB, NBR. Premarket loser:ATPG, PRGS, AMRN, RYAAY, MPEL, GOLD, BIDU. 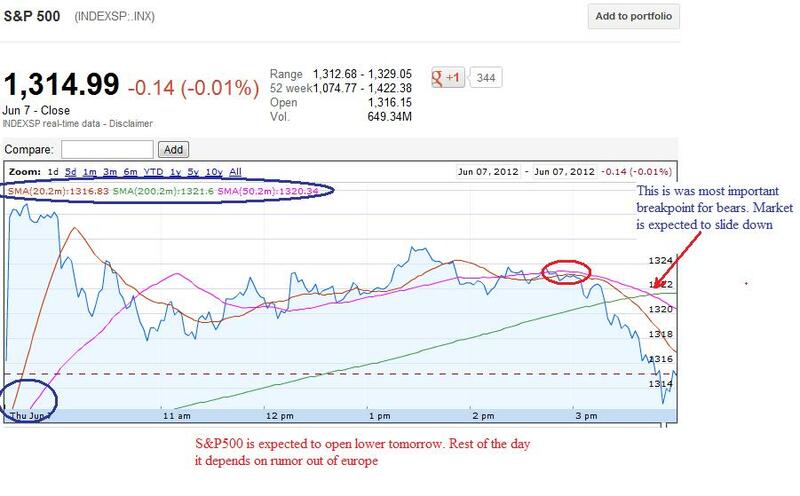 Wholesale Trade 10:00 AM ET 0.5% is expected, prev month was 0.3% higher is bullish sign, lower is bearish sign.